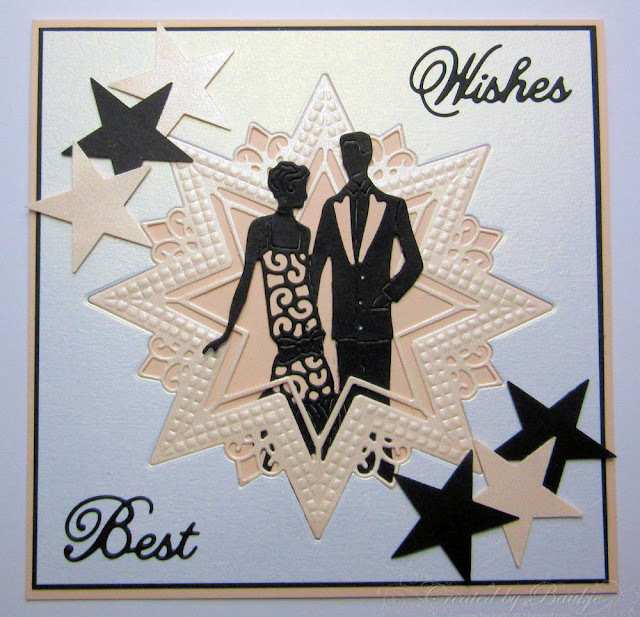 Cut embossed and inked while still in the die. Impression Obsession Sentiments Die set. Cut and embossed then place back into the cut out. 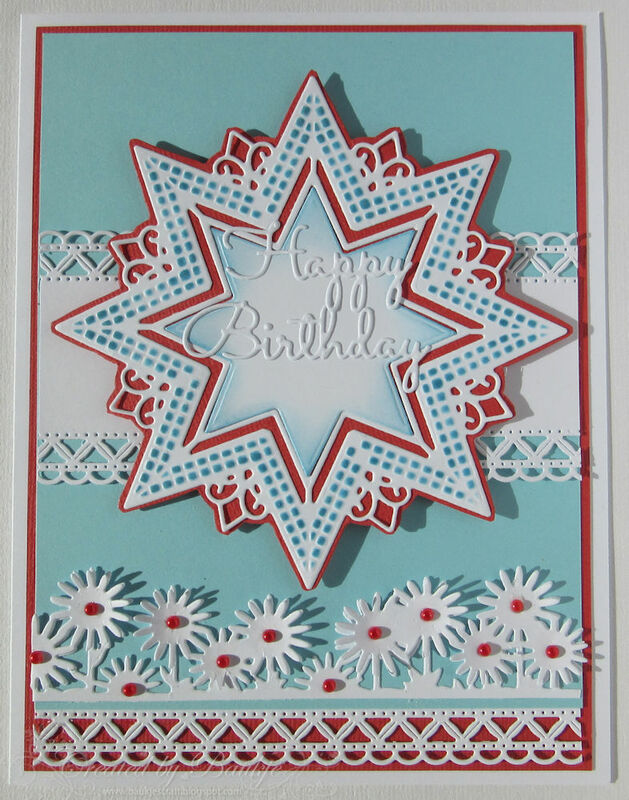 Cut, embossed and placed back into the cut out of a different colour and added the star back into the cutout as well. Corner pieces are from left over pieces. 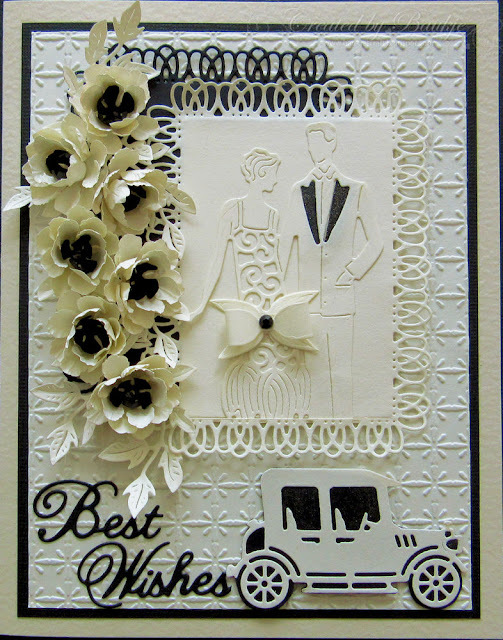 I have two cards using the lovely Tattered Lace Charleston Couple to show you today, you can of course purchase the die from Kaaren at Fat Cats Card Corner. For the first one I just cut everything from ivory and black card and paper and used a bit of Wink of Stella on the guys jacket lapels and the car windows. 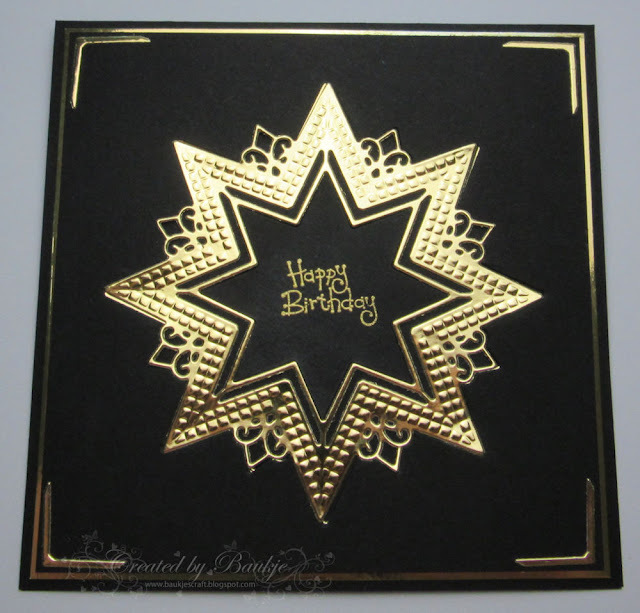 Sue Wilson Sparkle Squares Embossing Folder. 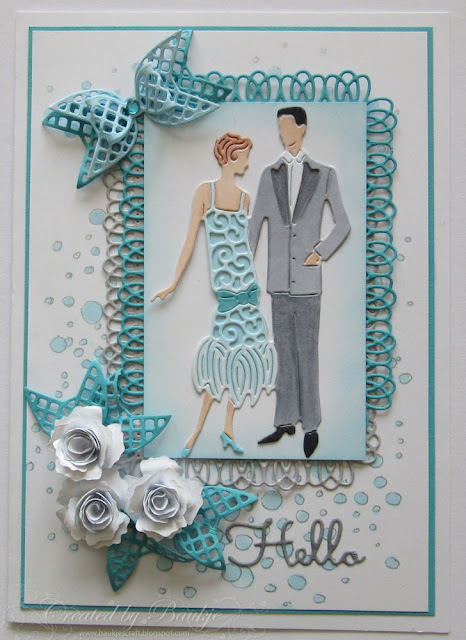 For my next card I cut the Tattered Lace Charleston Couple from white card and coloured them with copics. 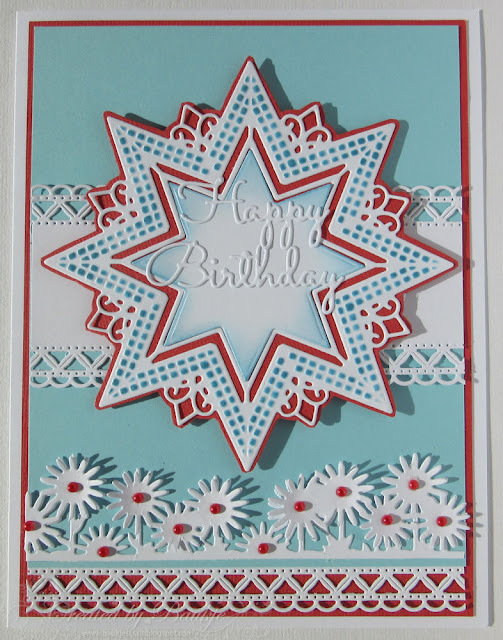 I created the background with a stencil and distress ink.